Invisalign is a popular alternative to braces allowing you to get the perfect smile by wearing trays that straighten your teeth. 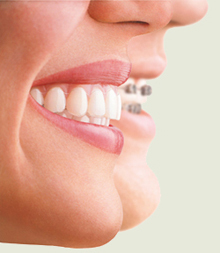 Since they are clear braces, they look aesthetically pleasing and can be easily removed for eating, drinking and cleaning your teeth. 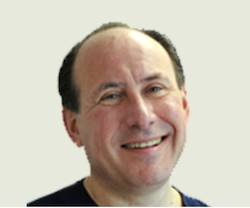 Our Invisalign team is lead by Dr Howard Koch who has over 37 years of experience as a dentist and has been successfully treating Invisalign patients for over 12 years. Our warm and friendly team would be delighted to welcome you for an initial consultation, free of charge. Invisalign®– shows off your smile, not your braces. Nothing is as important as a genuine and heartfelt smile. Whether in your professional life or when you are out socialising, an attractive smile can make you feel happier and more relaxed – as well as making the right impression! At QAD, we start any case with an initial consultation to check that you are dentally fit and to understand your requirements as best as possible. The next steps are to carry out a digital scan and Xray of your teeth and send this off to the Invisalign head office and working with their in-house staff, we come back with a ‘digital outcome’ showing how your mouth will look. If you would like to proceed, it will take 7 to 10 days for your personalised trays (mouth guards/aligners) to come back and then you can start wearing them! You will be given 2 to 3 trays at any time and be required to change them every 2 to 3 weeks at home, depending on the individual case. We recommend you wear your mouth guards for around 22 to 23 hours per day to maximise results. In the early stages, we monitor your progress very carefully and check that it is working effectively. How often do you have appointments? You will typically have appointments with us every 2 to 4 weeks to monitor your progress and give you new trays (aligners). The entire process from start to finish is typically around 1 to 2 years – depending on the customer and the case. Only your dentist can advise whether Invisalign®is the best treatment for you. Arrange a FREE consultation today!